I recently started substitute teaching, and it became obvious from my first day on the job that I don’t know ANYTHING. You’ve gotta start somewhere, right? I may have known nothing at the beginning of each of my jobs, but at the end of the day, I knew many things. I knew where to park and that I should bring a book for all the times when I find myself waiting for someone to unlock a door. I knew how to get to the gym and that it’s extremely important to third graders what color fake mustache they get. And you don’t have to find your way alone. There are so many people to help you and not all of them are possible miscreants. At the high school, the library assistant was amazing, showing me the ropes and making sure I felt comfortable running things before she left. At the middle school, I only had to teach one class by myself. After that, the inclusion teacher ran the show while I just helped out. And during the third grade field day, there were several really sweet parent volunteers who knew the names of the students and pointed me in the right direction when I was leading the kids astray (literally). Learning new things is one of the fun parts of subbing. The next time I go to one of these three schools, I won’t be a newbie anymore. 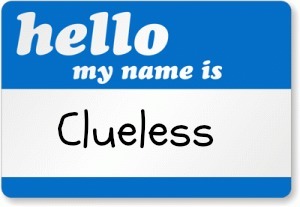 Not knowing students’ names can be a problem, but not knowing their struggles can be a blessing. Once you learn something about a person, it’s difficult to unlearn it, so sometimes ignorance is bliss, especially when it provides a clean slate for a kid who needs it. The day I subbed in sixth grade, I was told to meet my advisory class in the gym and walk them to the room. When I got to the gym, there were four girls sitting together at the top of the bleachers and one girl sitting by herself close to the bottom. I sat down next to the girl who was alone and introduced myself. Then I watched the pageantry that was this school’s morning routine. When something confused me, I asked the girl about it. Why is everyone wearing green? (It’s spirit day.) Who is that? (The assistant principal.) What time do we get to leave? (She’ll dismiss us when it’s over.) It turned out the girl I sat down next to had a stutter, but she patiently answered all my questions, sometimes giving me a look that suggested she thought I might not be so bright. After all, WHO wouldn’t know that Monday is spirit day? When we were dismissed to our classrooms, I asked that girl to lead the way (since I was already lost again). Later in the period, based on some interactions I observed, I got the impression that other people might sometimes look at her as if maybe she isn’t so bright, even though she was patient, kind, answered all my questions, and was an excellent helper. Because of her stutter, she may not be called on very often. But I didn’t know any of that when I met her, and I was glad I’d given her a chance to be an expert and a leader. When you don’t know the students and they don’t you know, neither of you has annoyed the other yet. You haven’t been battling for days or weeks or months trying to get that student to turn in homework or sit still or stop trying to stick pencils in the ceiling. When you’re at square one, sometimes things work that would never work on square seventeen. The day I was subbing in third grade, we’d conquered Field Day, devoured snack time, and improvised our way through the last half hour when the video didn’t work. (I introduced the students to the Green Door brain teaser. If you don’t know this one, email me. It’s a great time killer.) It was time to clean up the room and, based on the state it was in, I didn’t have high hopes. But the kids surprised me. Within a few minutes, the room looked amazing. All the desks were cleared off with the chairs stacked neatly on top. All but one. When it was time to leave, one little boy’s desk was still an absolute mess. When I commented on it, the other kids said, “He NEVER cleans up his desk!” The boy shrugged, like, Yep. It’s true. I prodded a bit more, saying how easy it would be to put things away, but there was no movement in that direction. So I tried for a compromise. I asked him to at least stack the chair on top. The other-kid-chorus sang again, “He NEVER stacks his chair on the desk!” I looked at him. “Really?” I said. “NEVER?” He shrugged again. I decided I was going to get my compromise. I said, “Well, there’s a first time for everything. Think how shocked and excited your teacher will be on Monday when she comes back and sees your chair on top of the desk.” The boy seemed confused and a little scared, and he had trouble wrestling the chair into place, but he did it. He stacked the chair on top of the mess on top of his desk. And then we dismissed. I considered it a victory. It won’t be like this forever. Most subs eventually settle down with a couple of preferred schools and work there exclusively. When they mention those campuses, they say “my school” because they really are part of the team. The longer you work in one place, even as a sub, the more you learn the inner workings of the school and become part of the culture. Soon I’ll have “my schools.” I’ll call teachers by name in the hallway. I’ll know which bathroom needs a key and who to ask for extra highlighters. I’ll also know who’s most likely to take a twenty minute bathroom break and which student never ever cleans up his desk. I won’t be new anymore. But for now I’m still in the adventure stage. I’m parking in the visitor lot, getting lost on the way to the cafeteria, and asking the “wrong” kid to pass out papers. And I love it. Treat the students like people because they are. Get a buddy, a student whose name you know who you can ask questions or call on to help you figure things out. Always follow the teacher’s plan to the best of your ability. When the teacher’s plan doesn’t work due to missing materials, technology difficulties, unexpected fire drills, or students who SWEAR that’s not what they’re supposed to be doing today, be ready to improvise. A story you can read to the kids in a pinch. A game or activity that could fill time if something goes awry. Ask for help when you need it. You have allies all around you. Don’t be afraid to reach out to another teacher for advice or support. Always leave a note for the teacher, but don’t throw the kids under the bus. Don’t list every little infraction and irritation. If there was a real behavior issue, something she needs to follow up on, write it down. But the fact that Student X didn’t clean up his desk? Chances are she assumes that already. Focus on the positive. List things that went well. If possible, try to make someone’s day rather than ruin it. Hang in there. Tomorrow is a new day. I’ve heard people say that substitute teachers get “thrown to the wolves.” This is a fair comparison in some ways, except everyone thinks the wolves are the students, and in my experience, that’s not the case. Everywhere I’ve been, the kids were great. The worst thing that happened at the high school (after the weird post-lockdown scene) was when a boy burped loudly in front of me (his teacher made him apologize) and when a girl gave me a dirty look for telling her there was no food allowed in the library. The worst thing that happened at the middle school was the boy who argued with me about not wanting to put his iPod away and the girl who ate a small piece of her test. (That was weird, but had no lasting ill effects on my day.) And the worst thing that happened at the elementary school was the kid wielding the pogo stick like a sword and the boy who wouldn’t clean up his desk. I realize some of you could probably fill the comments with examples of students who were horrible to you, but… I hope you don’t. I know tough schools and tough kids exist. But if you’re going to sub, don’t decide before you get there that the students are wolves. Walk into every job expecting the class to be full of kind, interesting people who just want to be treated with respect. Then give them a chance to prove you right. I’ve recently started substitute teaching. I taught seventh grade for thirteen years, and I currently work part time in an elementary school library, but subbing is a whole different ballgame. Schools are in desperate need of subs. When teachers get sick or have to stay home with a sick child or go out of town or just need a vacation day to themselves (which they deserve), they can’t just push their to-do list to the next day or decide to work over the weekend to make up for the time off. They can’t even ask a coworker to cover for them. No matter what emergency comes up in a teacher’s life, there still has to be a warm body in that classroom the next day taking care of those kids. Preferably a capable, responsible, patient body excellent at multitasking, quick-thinking, and improvisation. When a teacher is out and doesn’t get a sub, those kids still have to be monitored by someone. Sometimes the class is split up and kids go to other classrooms to do busywork. Sometimes an aide covers the class, leaving the students she usually aids unaided. Sometimes (this is what my former school did) various teachers are pulled during their precious “off” periods to cover the sub-less class. Back then, I didn’t like subbing. I wanted to help out my fellow teachers, but I resented the time away from my own work and couldn’t get past the “all the things I could be doing” mindset. Now though, I’m ready. I’m choosing to sub and I’m getting paid for it and I’m no longer a stressed-out, full-time teacher with a million other things I should be doing. At least, I thought I was ready. As it turns out, I don’t know ANYTHING. I’ve only subbed three times so far—once at a high school, once at a middle school, and once at an elementary. All three were campuses I’d never been to before. So I got lost. A lot. And there were other surprises too. Based on my experience so far, every sub job is an adventure. I arrive at noon and immediately realize I have a problem: I don’t know where to park. This isn’t an issue at middle schools and elementaries. There’s one parking lot, and it’s for adults. Easy. But high school kids DRIVE, which is scary. There’s a teacher lot (must have sticker), a student lot (must have sticker), and a visitor lot (must not stay more than thirty minutes). Hmm. I park in the visitor lot, planning to ask someone in the office what I should do. Surely they will tell me the visitor spot is fine for today and let me know where the sub spaces are for next time. I’m parked. Check. Now I just need to enter the building (easy) and go to the office (easy). Except it isn’t easy. This school is weird. It doesn’t have an obvious entrance. The first door I try is the band hall. The second door I try is locked. The third door I try gets me inside, but there’s still no sign of the office. Nor a sign FOR the office, which is odd. I find an adult who points vaguely and mentions stairs and something about “left” before hurrying past me. She looks stressed. So I go vaguely left in search of stairs. The hallways are empty. Eerily so. There are no students milling about, no one at a locker, no ruckus coming from the closed classroom doors. I start to get a strange feeling. Soon, I come upon a few more people—all adults, most carrying walkie-talkies, including one school resource officer. They also look stressed. I ask a woman if I’m on the right path to the office and she points to some stairs. Then I notice her watery eyes and ask if she’s okay. “Yes. It’s been a rough morning.” Hmm. The odd feeling begins to grow. To get to the stairs, I pass the cafeteria. Through the windows, I finally see students seated at a table, talking to another cop. Hmm. When I get to the top of the stairs, a man is sweeping up a large pile of confetti. We make eye contact. I ask, “Is everything okay here?” He says, “No. Don’t go near the cafeteria.” Hmm. At this point I’m wondering if I should make a run for it. But then I make it to the office, and suddenly everything seems normal. There are ringing phones and steaming coffee cups and women typing and joking with each other. It’s like I stepped out of the Twilight Zone and back into the real world. I decide to stay. I sign in, chat with the receptionist, and find out where the library is. Just before I leave, I remember to ask about parking. “The visitor lot? Oh no, you’ll have to more your car. You can use… let’s see… space 67… or 71… or anything from 88 to 92.” She writes them on a sticky note and hands it to me. What? How are subs supposed to know this stuff? After that, everything goes fine. Eventually I find out that the Twilight Zone incident was due to a pep rally that got a little out of control. Students had been sent back to their rooms while the perpetrators were being disciplined in the cafeteria and the school was in a small, semi-locked-down state when I arrived. Lucky me! I’m at a middle school and, once again, I can’t find the front door. This time there are kids everywhere and one gives me directions (bad ones). Then another one walks me around the school to where I need to be. There I find the front door, but it’s locked. I look for the doorbell (most schools have one these days for security) but there’s no button. I look for an adult amid the sea of students milling around outside. No adults. Again, the Twilight Zone feeling begins to creep up on me. I stand by the door for a few minutes, feeling like an idiot, wondering if this really is the front door or if the sweet student led me astray, until another sub walks up. When I ask her how to get in, she informs me that we just have to wait until someone comes and opens the door. Ah. That makes sense. Eventually a teacher arrives and we follow her in, closing the door behind us and shooing the students out like a restaurant owner shoos cats away from the kitchen. I check in at the office and learn I’ll be teaching in a portable. I have no idea where the portable is. The nice man in the office takes me and another sub on a “tour” of sorts. When we get to the outdoor courtyard area (did I mention the school is huge?) he points to several long rows of portable buildings and tells me the number of mine. “Will it be unlocked?” I ask. Probably not. “How do I get in?” He says he’ll call someone to open it. Oh. That makes sense. I set off past the guys wearing hardhats (did I mention the school is under construction?) to my portable. Which is locked. After that, everything goes fine. This time I’m ready. I’ve never actually been inside the school, but it’s right by my house. I drive past it all the time, and I know it has a very obvious entrance and only one parking lot. I’m confident that I can handle three and a half hours in a classroom of 8-year-olds. Then, the night before the job, I get a text from the teacher I’m subbing for. 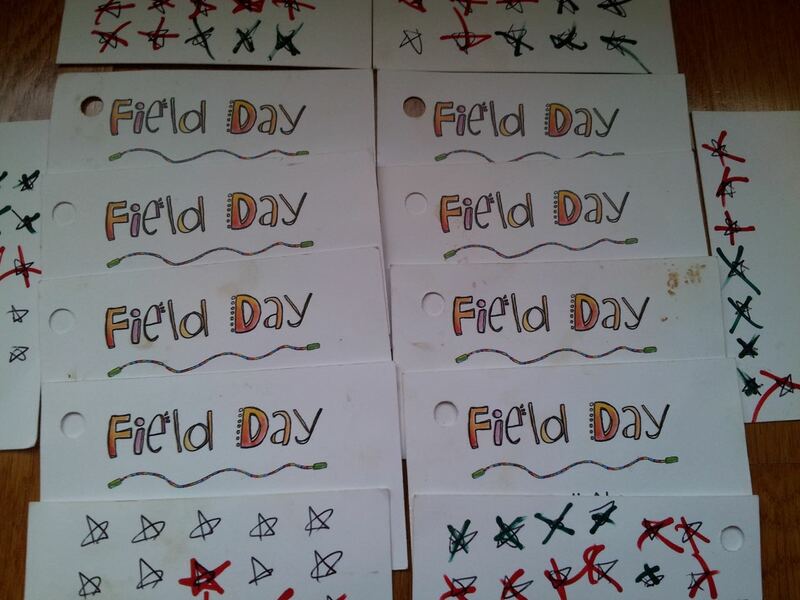 By the way, tomorrow is FIELD DAY! Wear comfy clothes and sneakers. You’ll be doing two hours of stations and then a video! Of course. And, wouldn’t you know it, when I get there the next day, the parking lot is closed for Field Day, so I have to drive around the neighborhood looking for a place to park. And then everything goes fine. Except the video doesn’t work. It’s true what they say. Subbing is never boring. Especially when you’re just starting out and you don’t know ANYTHING. However, there are also some advantages to not knowing anything. Stay tuned for PART 2 of Adventures in Subbing tomorrow. In 2010, a student who we’ll call Darry made me a pencil sharpener. Back when I was in school (which was slightly after the days of uphill-both-ways-in-the-snow, but still well before the internet) there were heavy duty, mechanical pencil sharpeners mounted in every classroom above the trash can. Most of them had that cool rotating wheel so that you could adjust for various pencil sizes. In my memory, they worked great. 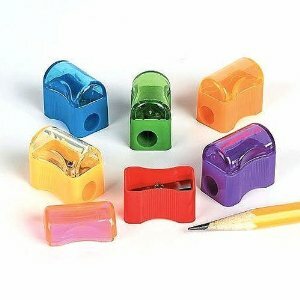 I don’t know when those went away (or why) but by the time I became a teacher, electric pencil sharpeners were the thing. With a cheap plastic cover and a one-size-fits-all pencil hole, they were noisy annoyances that rarely lasted an entire school year. I battled with those things my whole career. Some years, I tried to tune out the whirring buzz and teach over it. Some years I asked students to refrain from sharpening pencils except during breaks. Some years I told students to grow up and use a pen for goodness sakes. One year the pencil sharpener in the classroom next door broke, so the teacher started sending his kids over to use mine. The next year, I wised up, hid my fully-functioning sharpener in the closet and told my kids to go to his room. Nothing ever worked for very long. 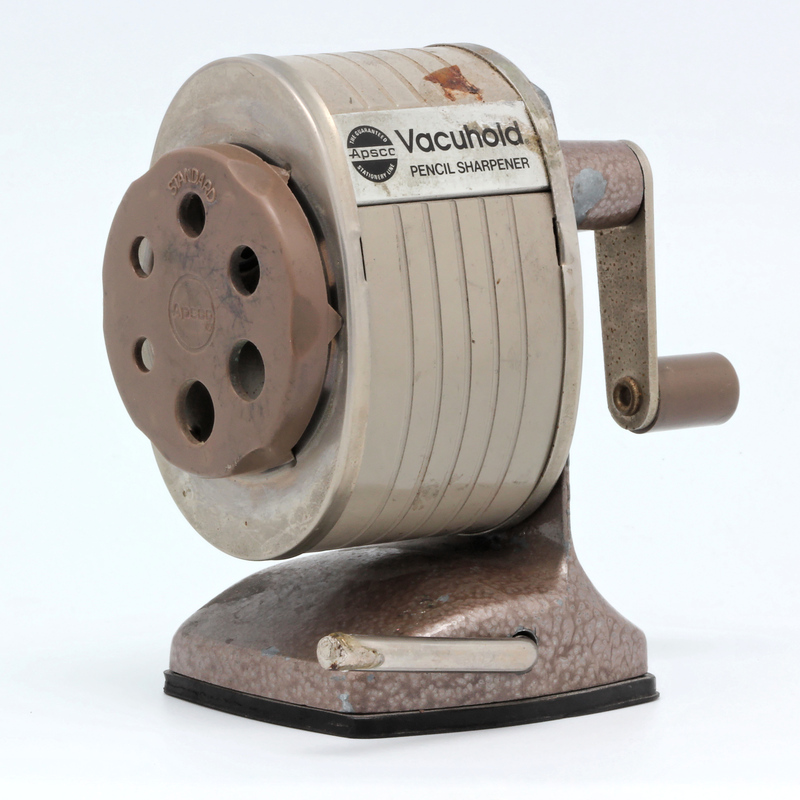 That year, after three electric pencil sharpeners bit the dust, I gave up. 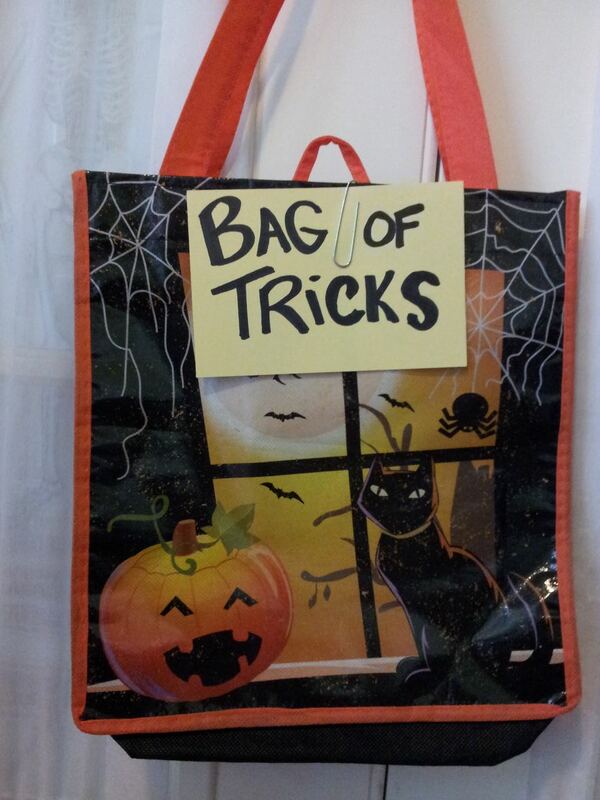 I bought ten cheap plastic hand-held ones from Walgreens and put them in a bucket on the counter. There. Done. Of course, I then had to listen to a nonstop stream of complaints. These don’t work. They’re messy. Why don’t you get a new electric one? But the whine of a pack of seventh graders was music to my ears compared to the dentist drill whine of a near-death pencil sharpener. I smiled and shrugged my shoulders. And then came Darry to the rescue. Darry was not a good student. He struggled to turn in his work and his impulsive behaviors created frequent distractions in class. Despite his faults, I liked Darry a lot. I could tell that he wanted to do well, and in one-on-one conversations he could be very sweet. Darry’s skills were in his hands. Though at school his fingers were often busy tearing something up—hardly a day went by when he didn’t leave a broken pen or shredded pencil or pile of ripped up papers at his desk—at home he used them to create. He put together motorbikes and fixed electronics. One day, Darry walked into class with a suspicious-looking black box with a cord sticking out of it. An electric pencil sharpener. 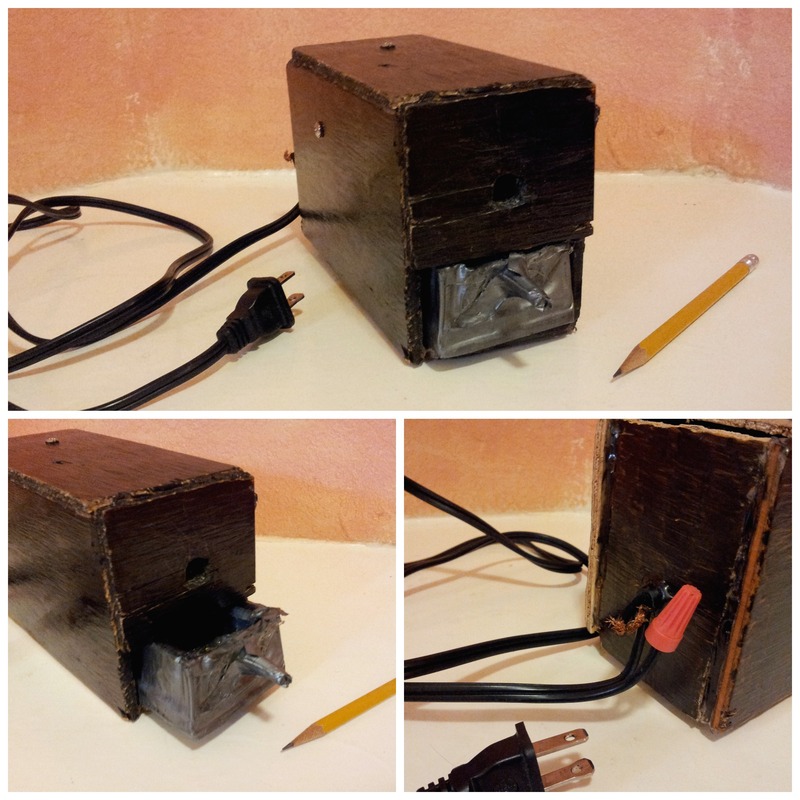 He had made me an electric pencil sharpener. It worked, and we used it. I spent the last few months of the school year showing off my gift to half the people at work and hiding it from the other half. 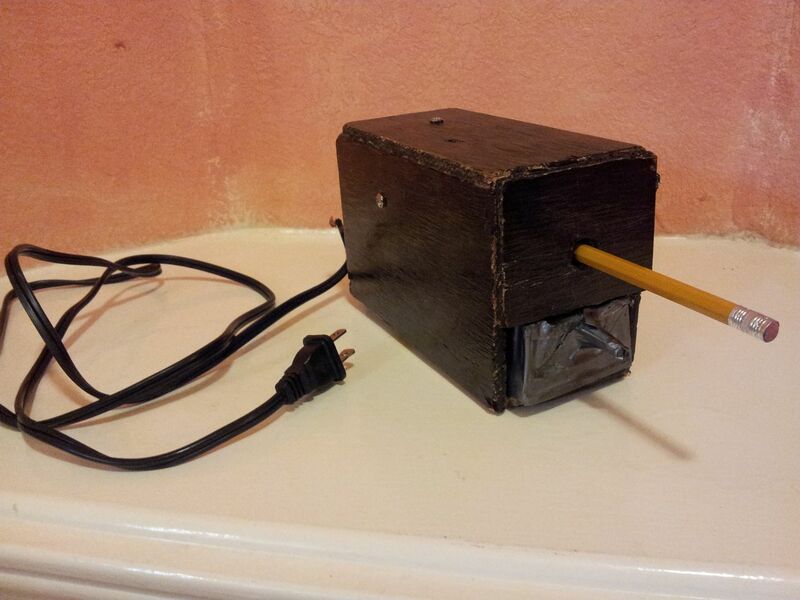 Despite its awesomeness, the homemade pencil sharpener did worry me a bit. I unplugged it every night before leaving and hid it in a cabinet during parent meetings, observations, and fire marshal visits. Sometimes it smelled a little funny, and more than once Darry had to tweak it to get it working again. The students respected this new addition to our classroom, never testing its powers on paper clips or crayons the way they did with the store-bought ones. And Darry was very humble about his creation—proud of it, sure, but quiet about it, never possessive or boastful. Toward the end of the year, I had to retire our new friend. A couple of wires had become exposed and it had started to smell like a lawsuit. Darry offered to take it home and fix it, but I wouldn’t let him. Part of me feared he would fix it and then I’d be faced with the conundrum of deciding whether to use it or not. But part of me feared he wouldn’t fix it, and I’d never get it back. Darry’s electric pencil sharpener was the only one I’d ever loved and it was by far the coolest object any student had ever given me. I didn’t want to lose it. I still have this gift. It sits in a box of teacher paraphernalia, but it doesn’t work anymore. Every time I sharpen a pencil I think about it. I guess I need to track down Darry, who’s a senior in high school now, and ask him to give it a tune-up.